South Africans know how to do vacation homes with charm – the immediate sense of being at ‘home’, of space, generosity, consideration and beautiful views (inside and out). South Africa has its own unique blend of charm. It’s woven through the choice of farm furniture, or the carefully selected art work; the elegant use of space and the attention to detail. 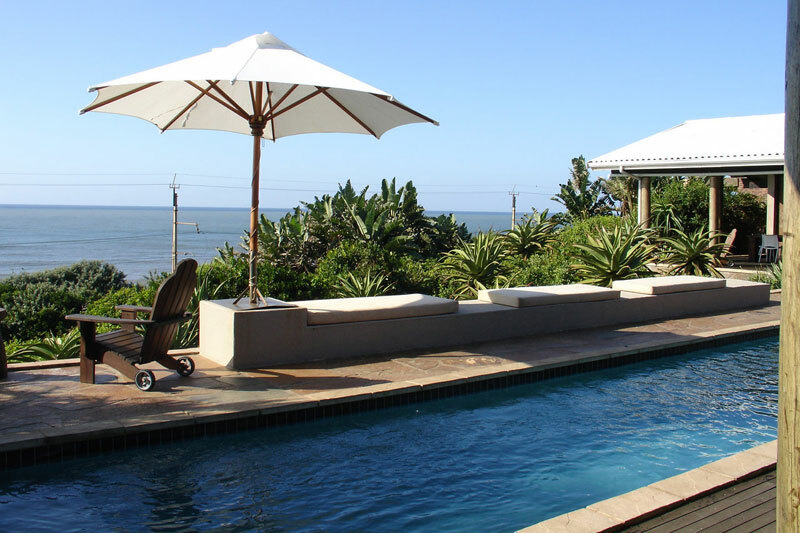 To make it easier for you to find these indelibly charming spots, we’ve put together a list of South African vacation homes you can hire at the click of a button. If the wraparound veranda, period home, tasteful furniture, a children’s dorm that not only sleeps seven but hails back to a bygone era, and a living and dining area that shouts big, lazy-day family gatherings doesn’t grab you, then the photos surely will! 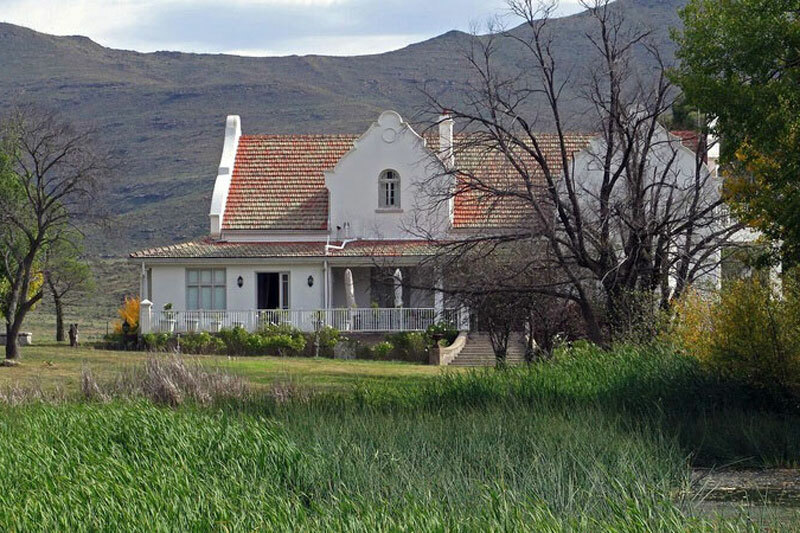 This Sneeuberg Nature Reserve hideaway is a find! Book Now! Nieu-Bethesda, it seems, caters for those after the vacation homes big on charm, for just after we stumbled upon Gordonville, this romantic, stone Karoo Cottage became an obvious choice. Rather than choose between the two we’ve put both on the menu for you to choose. 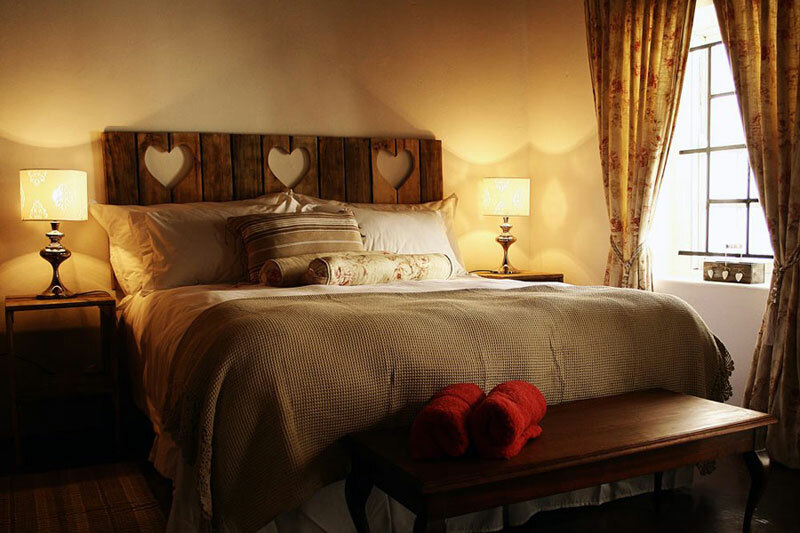 Choose from The Stables or The Loft but, either way, you’re going to have one incredibly atmospheric stay on this country farm in the Magoebaskloof. Enjoy antique collectables and carefully textured fabrics pepper the beautiful open-plan and romantic lines of these hideaways. The name of this holiday home more than gives the game away. 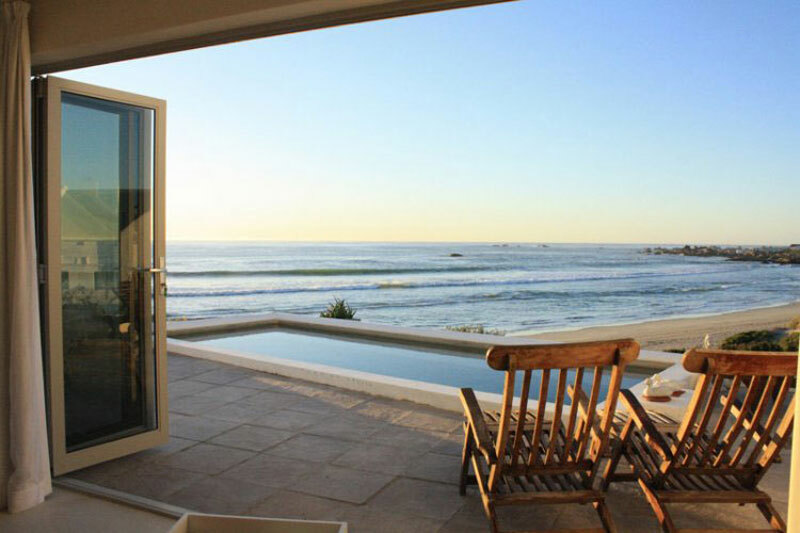 It literally is a little bit of heaven, situated right on the beach with a lot of glass window out over Bekbaai. The twelve sleeper even has its own patio pool and six en-suite bedrooms. Sigh. 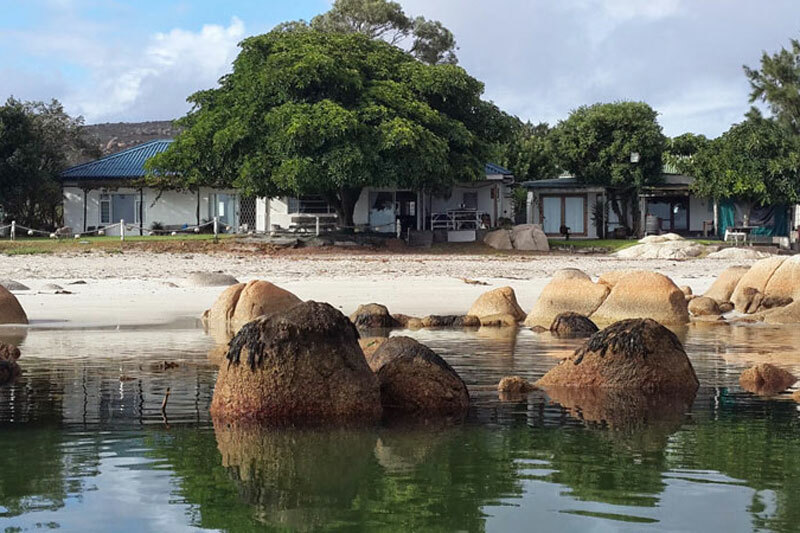 Our love affair with the West Coast continues with this little beachside cottage, with its own privately owned beach. The one-bedroom cottage has an enclosed patio and immediate beach access. I’m not sure beach front comes better than this. It’s stylish, comfortable and private and best of all, it has fabulous sea views. It sleeps six (in three en-suite bedrooms), offers all the modern comforts you’d expect of an upmarket home – think modern kitchen, Nespresso coffee maker, background music, beautiful linen but … absolutely no TV. It’s where you go as a family to relax, recharge and reconnect! 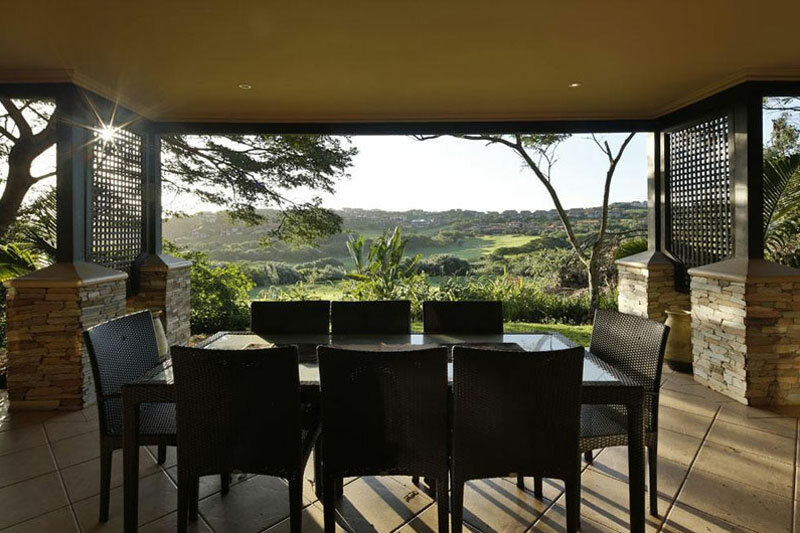 Here’s a home you won’t be able to refuse, right in the heart of the Zimbali forest. The Double-storey sleeps six and has a large entertainment area, as well as its own private garden. Stylish and comfortable, with views to match. 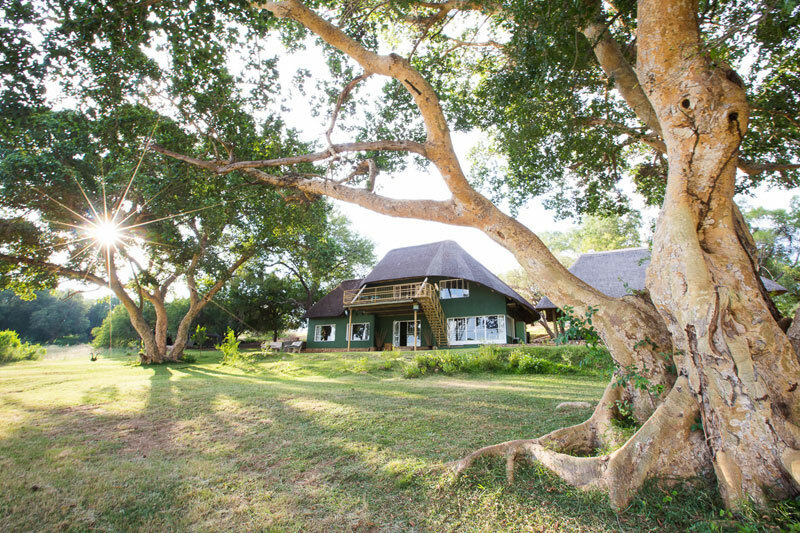 This house for hire lies right on the banks of the Olifants River in the northern section of the reserve, which shares borders with the Kruger National Park. It sleeps up to twelve people, but smaller groups are welcome, as are couples, in the thatched double storey. 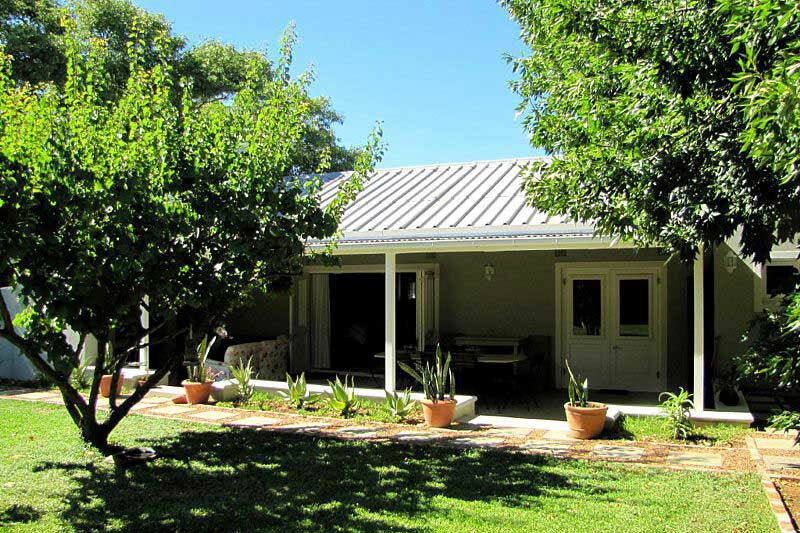 This little self-catering cottage is perfect weekend downtime space. It’s decorated with original art pieces, a kitchen you’re going to want to spend time in, and a long shady veranda that has its own dining table. This darling, restored barn dates from 1801 and comes complete with a thatched roof and Cape Dutch architecture, its romantic en suite bedroom opening up onto a little, secluded pebble stone courtyard. Its full kitchen makes weekend escapes a pleasure. 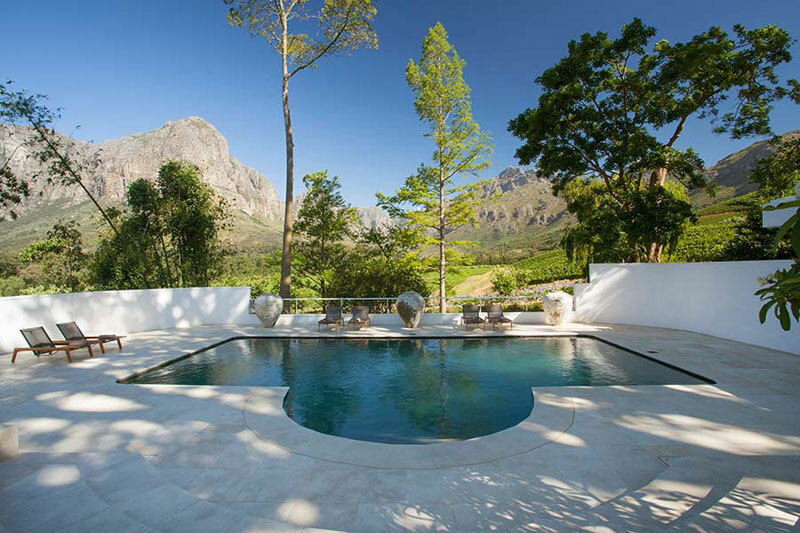 This ultra luxury South African vacation home is a six-bedroom experience with views over the mountains, Stellenbosch vineyards and gardens. Aesthetically appealing, the light-filled rooms are carefully decorated, and the long veranda spills out onto a perfectly maintained lawn. The Homestead has daily servicing, and a chef and butler on request. 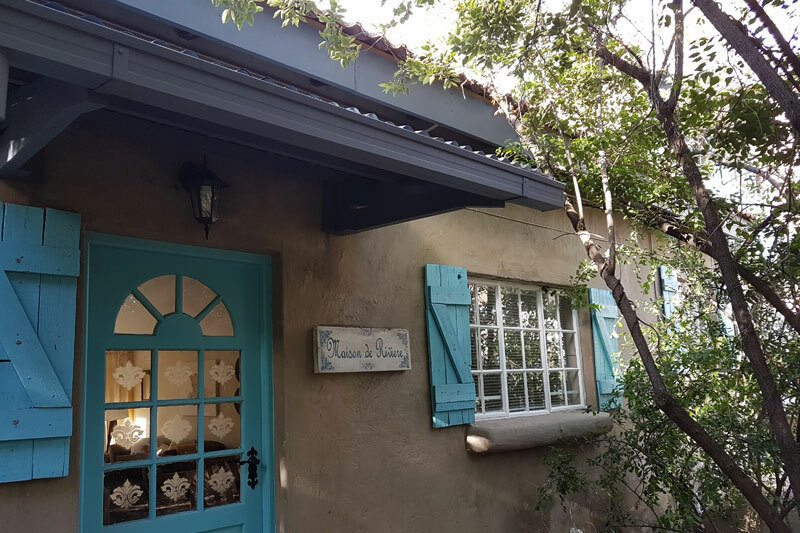 You’re going to love this little bit of France in Johannesburg. 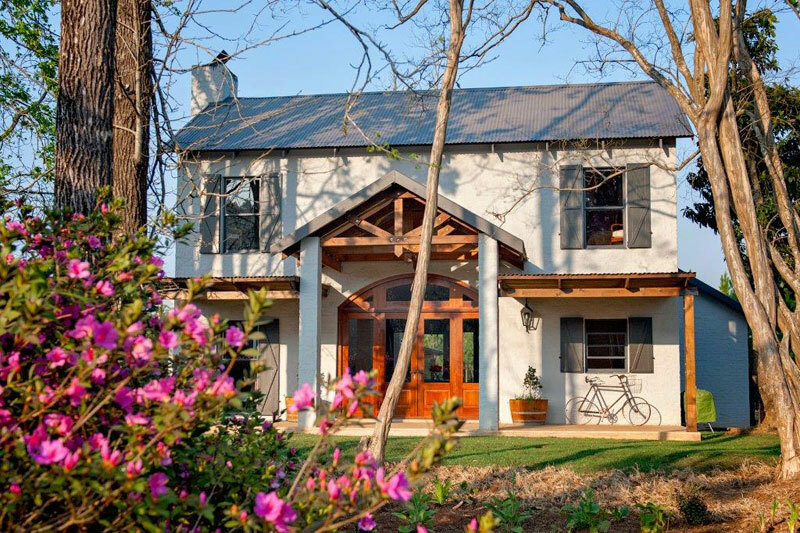 It’s a perfect example of charm meets South African whimsy. There are two uniquely decorated self-catering homes – the River House and the Village House – but it is the Village House in particular in which we’re interested, as it comes with its own kitchen for long weekends. 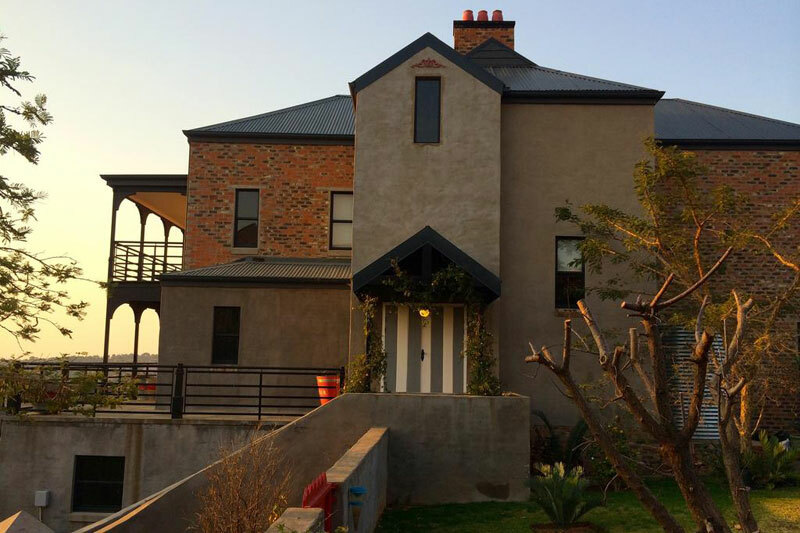 We love this designer loft home just outside of Krugersdorp. It’s ideal if you’re going to explore the Cradle of Humankind. 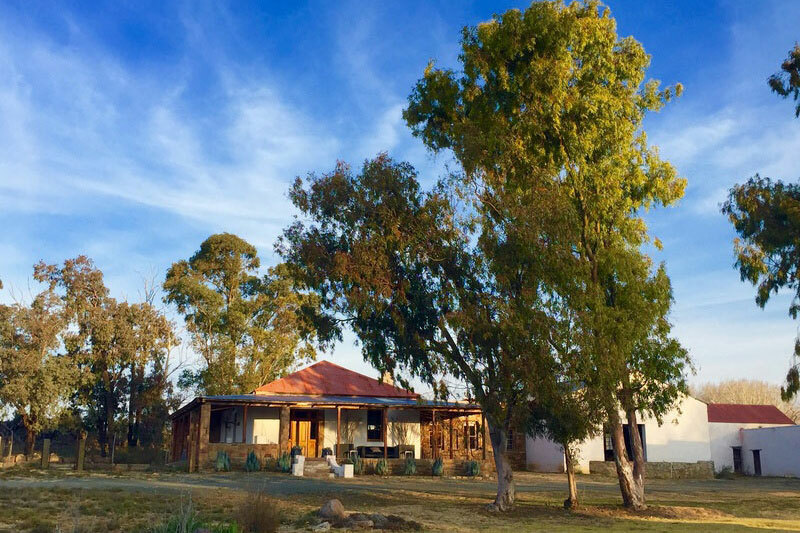 But even if you’re not, this mid-century factory a-la-African farmhouse accommodation, with its wrap around veranda and incredible views of the foothills of the Magaliesberg, is perfect for any Johannesburg stay.